A practical explanation of Bronchoscopy procedure for the patient and their loved ones. 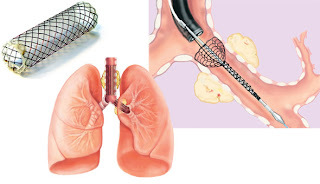 The role of the bronchoscopy procedure in the management of lung cancer, abnormal chest xrays, a lung mass, a lung nodule, pneumonia and other diseases is reviewed. 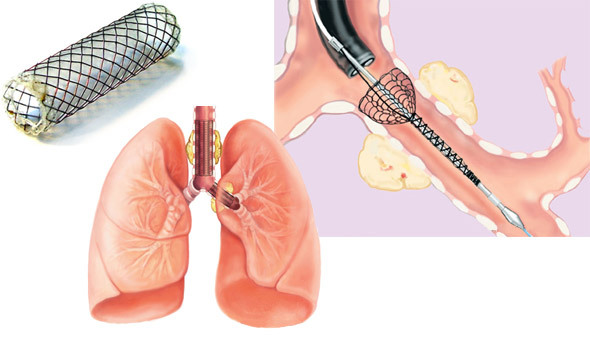 History of bronchoscopy and the variety of bronchoscopes available are discussed. 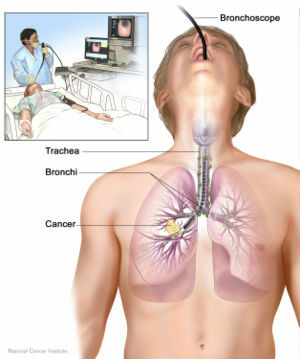 Bronchoscopy biopsy procedure is highlighted. Health problems that lead a patient to undergo the invasive medical procedure named Bronchoscopy include chronic cough, Hemoptysis, or an abnormal chest xray or abnormal chest ct scan that shows a lung mass, or lung nodule. Bronchoscopy might also be done to evaluate a patient's longstanding pneumonia, or to determine the consequences of chest trauma. The goal of a diagnostic bronchoscopy is to establish the correct cause of a problem so an appropriate treatment plan can be established. During bronchoscopy the doctor performing the procedure is able to obtain specimens through specialized techniques such as "bronchoalveolar lavage" (BAL), transbronchial needle aspiration (TBNA), and transbronchial biopsy. Bronchoscopy is a procedure performed on a patient by a specially trained doctor. The type of doctors who do this procedure most often are lung doctors named Pulmonologists and surgeons. The doctors use a special endoscope (named bronchoscope) in order to look directly into the lungs. The portion of your body that is the main interest to the doctor performing the procedure is that area of the respiratory tract found below the vocal cords. Bronchoscopy is often performed in a bronchoscopy suite or endoscopy suite which is staffed by professionals with special training and advanced equipment. Bronchoscopy can also be used to treat or solve a problem. When a bronchoscopy procedure is used as a means to perform a treatment or therapy it is named "Therapeutic Bronchoscopy". For example, bronchoscopy can be used to reduce or remove an airway obstruction by a cancer, phlegm or foreign bodies, and even to help during a difficult intubation of the trachea (i.e. insertion of an endotracheal tube to permit mechanical ventilation). Today two of the most common treatments performed during therapeutic bronchoscopy are aimed at a cancer growth that has blocked a breathing passage. These two common treatments are laser ablation of the growth and stent insertion to open a blocked airway. Stent placed in the left main bronchus which has a cancer growing around it. The Stent splints open the airway. There are two types of bronchoscopes: flexible and rigid. Flexible bronchoscopy is often performed under local anesthesia in association with sedatives given through your vein ("conscious sedation"). Rigid bronchoscopes are hollow and not flexible. Rigid bronchoscopes are most often employed by a physician trying to remove a foreign body or attempting to insert additional equipment into the lower airways such as laser lights, or airway stents. Rigid bronchoscopy is performed while a patient is under general anesthesia in the surgical operating room. 1999-2014 Bronchoscopy.com. Simple theme. Powered by Blogger.